Eero Palusalu, Remu Aaltonen, Risto Vuorimies, Andres Roots - Scotland Yard, Tallinn, Dec. 9, 2014. Photo by Leif Laaksonen. 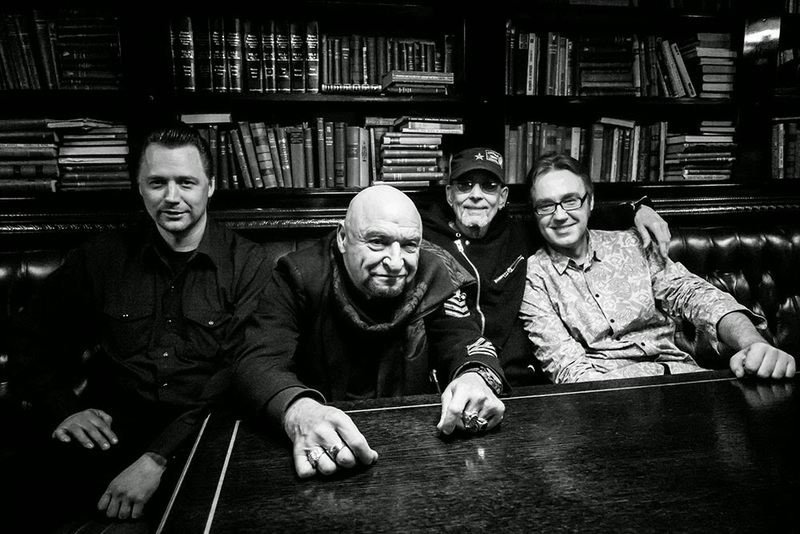 The Hurriganes tribute album launch in Tallinn on December 9th was a success - a detailed account will be published by Blues-Finland.com & Blueswebzine.com early next week. Meanwhile, another album has appeared on the market that also features Andres Roots on one track - "Ei ole must ei ole valge" by old friend Erki Solna, ex-Dead Next Door & Big Whiskey. The "Live In Lerwick" album by Steve Lury & Andres Roots is still getting airplay around the world - here's another review by Wend, published in the Estonian national broadcasting's culture webzine: "Andres Roots is a king of style! And with that line-up, on that stage... Yes, I would have liked to have been there! Top of the genre this year!" And the tickets for the Hämeenlinna Dr. Feelgood/Roots & Terep show coming up in February are now available, too - here!